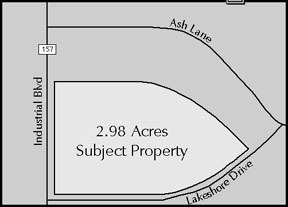 2.98 acres or 129,808.8 Sq. Ft.
551.5 ft. on the south side of Lakeshore Drive. 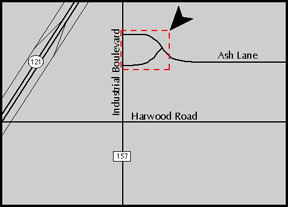 348 ft. on the east side of Industrial Blvd. (FM 157).